Harare residents and club owners have for long been at each other’s throats over noise pollution. Recently, the Harare City Council announced they would be dealing with the issue targeting churches and clubs in residential areas. Such clashes saw the popular Harare Gardens closed for night musical shows. Several popular joints have had issues with residents in as far as noise is concerned with residents pushing for the closure of the joints despite the financial investment in setting them up. This has seen club owners bowing down to the pressure in fear of closure and complied with residents’ demands. 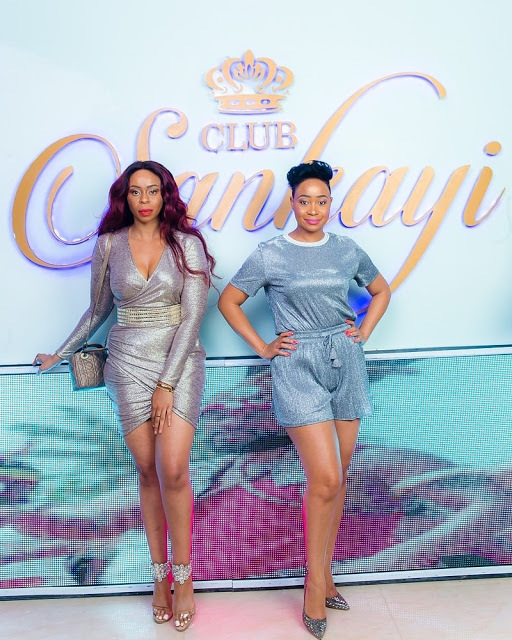 Newly-opened Club Sankayi has had issues with residents over noise and they have taken measures to address the issue. The club manager Simbarashe Maphosa, popularly known as Godfather Templeman, said they are currently in the process of sound-proofing the club. He said they have heeded the residents’ complaints and have reduced the levels of noise. “Initially, we had issues with residents but we have complied with their demands. Currently, we have reduced our sound levels and if one is outside the club, you hardly hear that music from inside. “We are also in the process of sound-proofing the club and by the end of the month, we will be done. The residents came to us and urged us to reduce the sound and we did so and at the moment, there are no complaints,” he said. Templeman said they have engaged the residents through the city council and had rolled out community social responsibility programmes. “We have partnered with the council and put up street lights around the whole area which is of benefit to the residents. We also have security every four days of the week, meaning their homes and cars will be secure. So from our end, we are doing a lot to be on a good page with residents,’ he said. Proprietor of the now-defunct The Volt — Spencer Madziya — better known as Boss Spencer, told the Daily News on Sunday that dialogue with residents is the way to go. He said when they received complaints, they moved in to sound-proof the venue and engaged sound engineers to assist them. “Noise will always be an issue and there is need for one to engage expert sound engineers to assist whenever there is an event. Sound is different depending on an event. Sound for DJs and performing artistes is different and there is need for an engineer to set the sound for you so that you do not clash with residents. “We had issues at the Volt and we heeded their (residents) demands and we installed sound proof and from there we never had issues. Dialogue is the way to go, respect what the people say and you are home and dry,” he said. Boss Spencer, who is currently spearheading entertainment at Motor Action Sports Club, known as Motor Action Sundays, said they continue to heed the residents’ calls. “At Motor Action, we always engage experts in sound. Each time we have an event, we will have an engineer to guide us in as far as appropriate sound is concerned. “When you look at The Volt, it is the former Book Cafe, a reputable place with a reputable history and that ought to be respected and the way we showed our respect was through dialogue,” he said. Several issues have been raised by residents of Waterfalls and Hatfield who registered their displeasure of noise against Paramount Signature, calling for its closure by coming up with a petition. Some of the residents said they are not bent on having the place closed but the owners should be considerate and heed calls to deal with noise. “We are not against the mere presence of the bar in the residential suburb but the owners should be considerate. They make unbearable noise throughout the night and we are fed up. If they want to continue operating in the area, we expect them to use sound proof. “A home is a private place and we need our private spaces; that should be respected. Apart from the deafening noise, nightclubs are associated with moral decadency hence we fear this might contaminate moral values of our children,” said a respectable member of the Hatfield community who preferred anonymity. The residents said the issue has taken long to be resolved and are pinning hopes on the new councillors and government. “The issue has dragged for years hence we are pinning our last hopes on the political new dispensation,” they added. Hatfield and Waterfalls are also home to several hangout joints such as Jongwe Corner, Mega II and the Zindoga braai area. Harare City Council corporate communications officer Michael Chideme told the Daily News On Sunday that they are always on duty to enforce the noise by-laws. He said they have inspectors who go around monitoring the situation and also rely on residents.